Lion of Judah Laurie Mandell reads to her granddaughters at PJ Library and the Mandell JCC's Great Children's Read. Lions of Judah are women who make a commitment of at least $5,000 in their own name each year to Federation's Annual Campaign. The Lion of Judah program was founded in 1972 by Norma Kipnis-Wilson and Toby Friedland z"l to celebrate women's independence and philanthropic power. 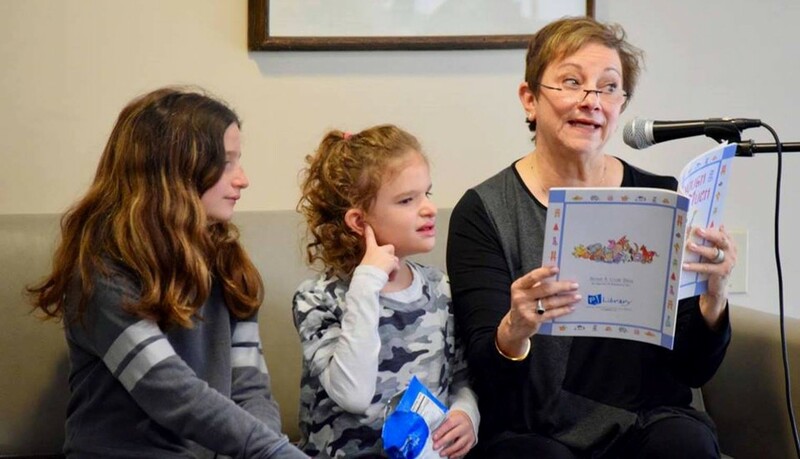 Some of our local Lions of Judah choose to make an additional gift specifically to support the PJ Library program in Greater Hartford, which reaches more than 900 children and their families each year with books, music and Jewish enrichment programs. To learn more about the Lions of Judah, contact Meredith Chandler at 860-727-6125.